EU Foreign policy chief Federica Mogherini said that European Union member states should share the burden, currently loaded on Italy and Malta, in dealing with the inflow of migrants through the Mediterranean. MOSCOW (Sputnik) – European Union member states should share the burden, currently loaded on Italy and Malta, in dealing with the inflow of migrants through the Mediterranean, EU Foreign policy chief Federica Mogherini said Monday. 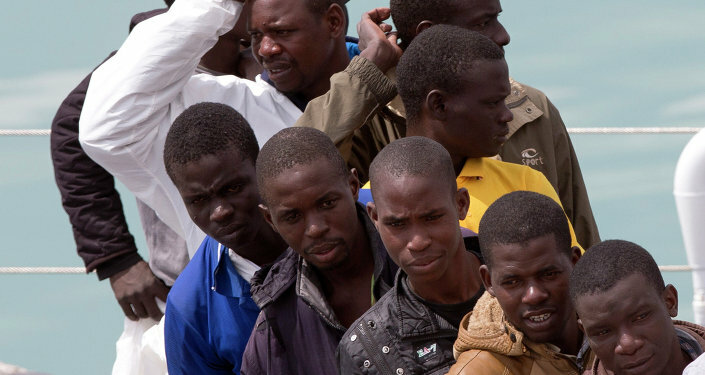 Due to their location, Italy and Malta face the biggest influx of migrants from North Africa. “We must be ready to share the responsibilities… Those people who travel across the Mediterranean do not travel to Italy or Malta, but to Europe,” Mogherini said as quoted on the European External Action Service (EEAS) website. The European Union is reassessing its migration policy in the wake of an increase in the number of migrants dying while attempting to cross the Mediterranean Sea to Europe. One of the major reform proposals – to introduce a quota system for migrant intake for each European country based on its GDP, population, unemployment rate and several other factors — was met with firm opposition by several EU member states including France and the United Kingdom. Estimates from the International Organization for Migration suggest that some 3,200 migrants died while attempting to cross the Mediterranean Sea in 2014, and more than 1,700 — since the beginning of 2015.